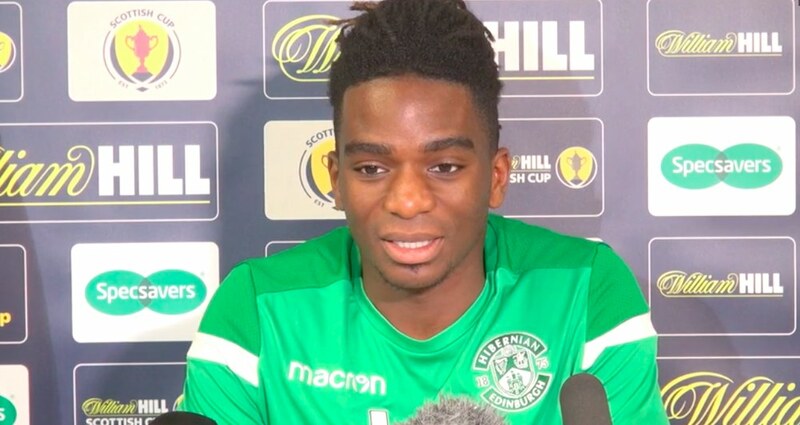 STEPHANE OMEONGA is determined to hit the right note with the Easter Road faithful after proclaiming that he will learn ‘Sunshine on Leith’ on the piano if Hibernian defeat Celtic. The jovial Belgian has already become something of a viral sensational among Internet-savvy Hibees after an Instagram video of him tickling the ivories emerged online. The 21-year-old, away from home and apart from his girlfriend after arriving on loan from Genoa in January, revealed that he took up the hobby to fill the long days following training, eschewing the usual temptations of FIFA 19 and Fortnite sessions. 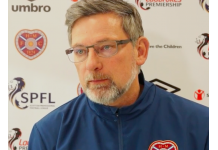 Indeed, one can safely say that Omeonga is the first SPFL footballer to ever use a media conference to profess his admiration for Italian pianist and composer, Ludovico Einaudi. “How good am I as a piano player? I don’t know. That is up to the people who watch me,” he smiled. “I do not just want to play the PlayStation or watch series’ on TV – I can learn something, at least. 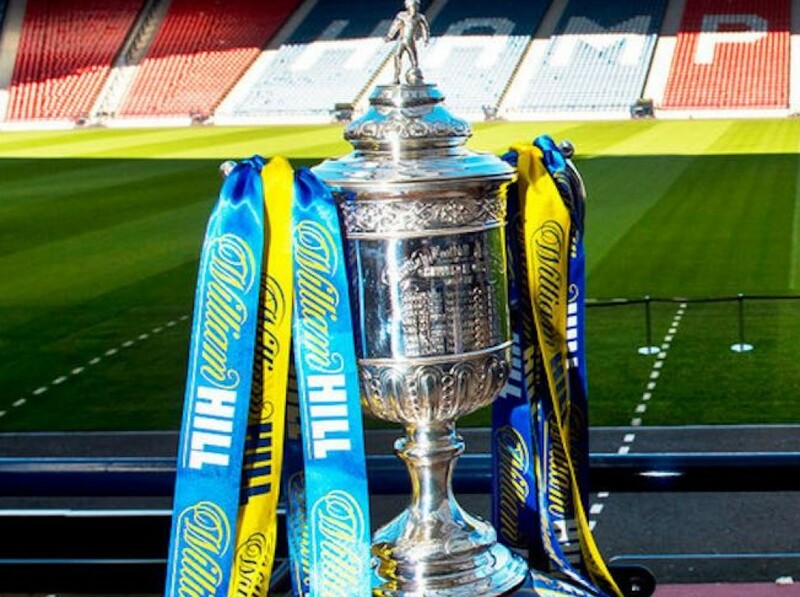 Ahead of today’s mouth-watering semi-final against Celtic, Omeonga revealed that he has watched footage of the 2016 Scottish Cup final and the emotional scenes following Hibs’ 3-2 victory over Rangers, including ‘Sunshine on Leith’ ringing around Hampden. “I have been playing piano for one year and I think I am doing okay, but learning ‘Sunshine on Leith’ can be my next challenge,” he continued. “The players have asked me to play it on the piano and I will do that. “I have watched some videos on my own of the fans singing after the 2016 final – it was just wonderful. It’s a great song. Addressing the press corps at Hibs’ training base, Omeonga was visibly wide-eyed alongside the trophy. Like his manager, Paul Heckingbottom, he chose not to touch the silverware but could not help but dream of holding it aloft in May. That was a feat achieved by the likes of David Gray, Lewis Stevenson and Paul Hanlon, all still at the club and set to line up against the Hoops today. “To be fair, that was the closest I have ever come to a professional trophy!” he laughed. “I am buzzing, it is quite emotional. We are far away from lifting it for real but if that was possible it would be amazing. 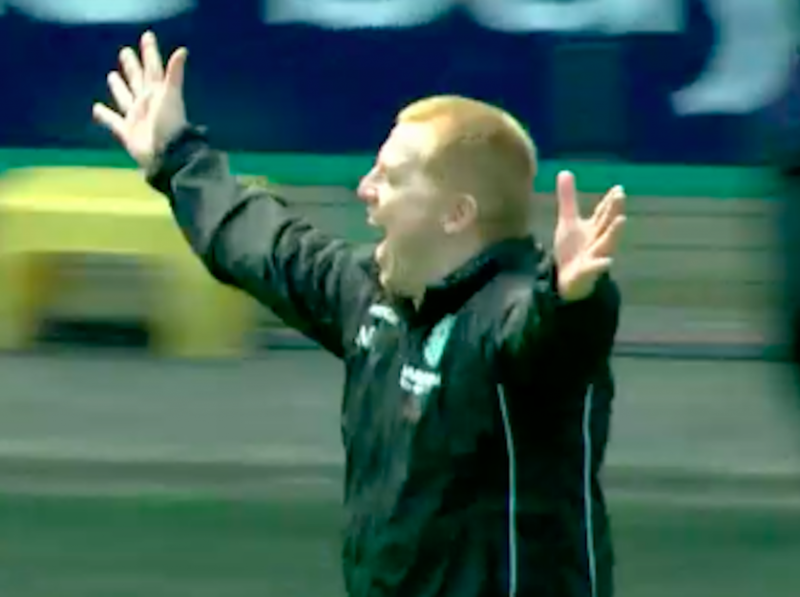 A quarter-final clash between Hibs and Celtic at a packed Easter Road does not require much additional spice, but that is liberally provided by the return of Neil Lennon, just a month after he departed the club. Indeed, Lennon was the man who green-lit the signing of Omeonga, even drawing parallels between the player and France World Cup winner N’Golo Kante. “I worked with Neil for two days . . . and 45 minutes,” added Omeonga, with some gallows humour. “No, It’s just football and it will be cool to see him again. “I’m used to this. I’m young but I learn how to manage things. I worked under four new managers in Italy and now we have a new coach here. It is not so bad. The guys just want to lift the cup again and we are only focused on that.